Looking for New Roof Installation? Portland Roofing Contractors is one of the leading companies with the most outstanding roof replacements services in the Portland Metro Area. Any roofing company can come to you and say they can tear-off and install a new roof. However, a new roof replacement project deserves some thoughtful consideration. It is an investment to your home that will give you comfortability and peace of mind. The last element is on deciding who you want to do your roof replacement project. Their are many companies that offer quality products, but the roofers installing your new roof can be inexperienced. Resulting in misplaced nails, flashing, ect. It is crucial to select an experience roofing company to take on your roofing project, to ensure you will not face any leaks or damages . 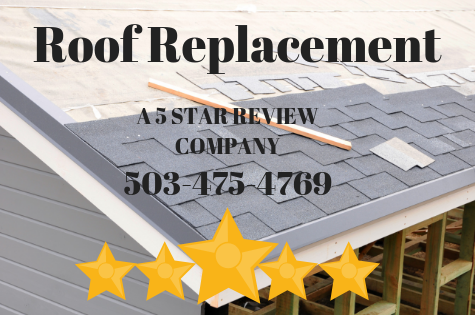 Roof Replacements is one of many services we offer at Portland Roofing Contractors. We make sure we cover a broad range of roofing services so that we can protect what matters most to you. We take pride in our experience and demonstrate it by delivering 100% professionalism to every project we take on. These are some of the services we have helped numerous of homeowners with their roofs. Portland Roofing Company proudly serves the Portland county area with superior roofing services. Our commitment to you is to deliver outstanding work with honesty and gratitude. Nothing is better than helping out our community and neighbors with their roofing needs and problems. To get a better understanding of the locations we provide our services, check the list below and still unsure give us a call.